This is the place to look for details of forthcoming events & consultations regarding the neighbourhood plan. What a brilliant Community we all live in. Thank you again to everyone who helped develop the plan, to everyone who responded to consultations & to everyone who voted. 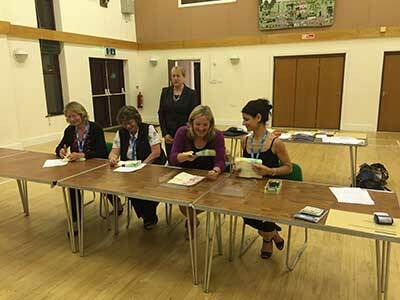 The plan will now go to Bath and North East Somerset for Cabinet to formally adopt - in early September 2015. The referendum which will allow all registered electors to vote to decide whether to adopt the Stowey Sutton Neighbourhood Plan has been scheduled for Friday 7th August, the polling station will be the Bishop Sutton Village Hall. 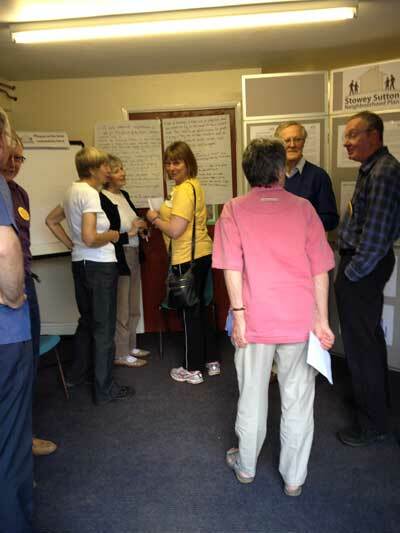 On the 13th May 2015 Neighbourhood Plan examiner Janet L Cheesley BA (Hons) DipTP MRTPI issued her final report on the Stowey Sutton Neighbourhood Plan & subject to a number of minor changes (which do not alter the strength or purpose of the policies) she has approved our plan to go forward to referendum. Reaching this milestone means that the Neighbourhood Plan can be given "considerable weight" in planning decisions & will reduce the chance of success for any additional large developments outside the housing boundary. You can read the examiners full report here as Appendix S.
We have made the minor changes to the wording to the Neighbourhood Plan requested by the examiner & the updated versions can be downloaded here. The B&NES Democratic Services team are now beginning to make arrangements for a referendum for all of the electors in Stowey Sutton Parish, once we have the date for the vote we will be delivering a leaflet reminding everyone of the policies that the community developed and supported over the last 18 months & we hope to encourage everyone to join us at the polling station to vote on the plan. On the 10th April the Neighbourhood Plan team met and agreed to appoint Janet L Cheesley BA (Hons) DipTP MRTPI as the examiner for the Stowey Sutton Neighbourhood Plan, B&NES will now make the formal appointment & pass on the results of the Regulation 16 consultation, together with the plan details & all of the supporting evidence that the community provided to help design the plan. Great news, our Regulation 16 consultation has been completed with no adverse responses received from either the public or statutory consultees, the Neighbourhood Plan team will consider applicants from a shortlist provided by NPIERS, the Neighbourhood Plan Independent Examiner Referral Service, to decide who will be asked to formally examine our Neighbourhood Plan. Our Draft Neighbourhood Plan has been submitted to B&NES, who will now conduct a "Regulation 16" consultation including statutory consultees like English Heritage as well as the general public. The consultation will run between 29th January & 5pm on the 12th March 2015. You can find information on the Regulation 16 consultation for the Stowey Sutton Neighbourhood Plan here. Our second Community Consultation has now finished & we have had a terrific response, with lots of positive feedback and some interesting suggestions that we will consider before submitting the plan to B&NES Council for their formal six week consultation in January. 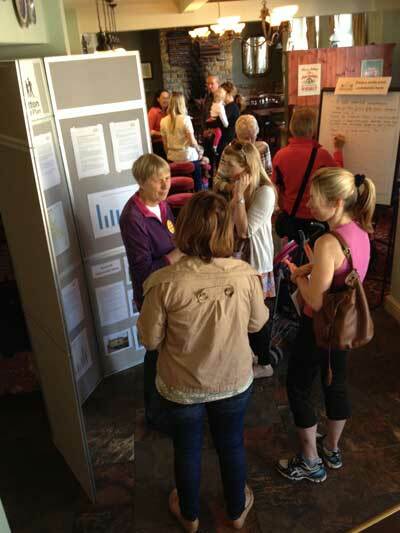 Thank you to everyone who came to one of our sessions or who read the leaflet & wrote or emailed their comments to us, 35 individuals gave feedback either directly or at consultation events, 22 joined the WI engagement event and 16 younger persons (up to 16 years of age) were involved in the three youth engagement sessions. Positive feedback was also given by two Parish Councils, our Ward councillor, one medical practice, The Highways Agency, English Heritage and Natural England, all of these respondents gave feedback that was predominately positive and in support of the Neighbourhood Plan. One developer’s agent provided feedback objecting to the principal of the neighbourhood plan. There was a total of 73 individual feedback comments which represents over 14.5% of households giving comment, the age of respondents ranged from under 16 through young adults, and each group up to post retirement. This is your last chance to influence the Stowey Sutton Neighbourhood Plan, which affect the way B&NES views development in our villages for the next 15 years. We are a little over half way through our community consultation phase, which ends on 12th December 2014, so this is your opportunity to make sure the plan meets our needs. All homes in the parish have already received a leaflet about the draft policies, please send a quick email if you support them to feedback@sspcnp.org or you can use the same email address if you have suggestions that you want the plan team to consider. If you need another copy of the consultation leaflet it can be downloaded here or you can view the full draft plan here. The neighbourhood plan for Stowey & Bishop Sutton is entering the final public consultation state in November, when every household will receive a copy of the draft policies for final comment, there will be two public exhibitions on the 20th November, the first from 08.30 to 10am at the Red Lion in Bishop Sutton and then from 6.00 to 7.30pm at the Methodist Hall also in Bishop Sutton. Big print versions of the consultation leaflet are available on request to feedback@sspcnp.org. Members of the neighbourhood plan steering group will be visiting some community groups in the villages during November and of course full details of the plan can be found on this website. Chairman of the neighbourhood plan steering group Keith Betton said "The draft neighbourhood plan has been prepared taking into account the views of our community which have been gathered over the last year, from our household surveys, previous consultations and open days. This is an exciting next step in the development of the plan, which for the first time gives our community greater influence to shape the future development of Bishop Sutton & Stowey, making it important that as many people as possible respond to this consultation". The Neighborhood Plan team have prepared an initial draft of the plan’s policies, & we have held two community engagement events one in the morning, at the Red Lion in Bishop Sutton, and a second in the evening at the Methodist Hall in Bishop Sutton, to get residents views on the proposals before the final version is completed, this way we can ensure the plan truly reflects the community’s needs. Both events were well attended by residents, who enjoyed the displays about the plans progress & everyone who commented was happy with the initial draft policies (which can be downloaded here). If you would like to comment on the draft policies please email the team at feedback@sspcnp.org.